Anika Reaches Oberoi Mansion for Job Shivaay Feels Connected to Anika's Name Ishqbaaaz 22nd June Video and Written Update. Segment Start with Anika is Going with Nikhil on His Scooty and Suddenly In Between Road, His Scooty Break down and She climbs Down from Scooty he is Trying hard to start it Again But nothing is Happening. He tells Anika that He has to Forget his Wallet at House Can You Give him Some Money Anika who is Struggling for Money Gives her 100Rs and He tells her that he will Take this to Garage for Repairing. Anika tells In her Interview that Her To Be Husband is So Chirkut(Miser) that He Asked money from her She is Already Struggling and One thing who Forget Wallet Especially when Go Out of House See My fate From Shivaay Singh Oberoi to this Miser. 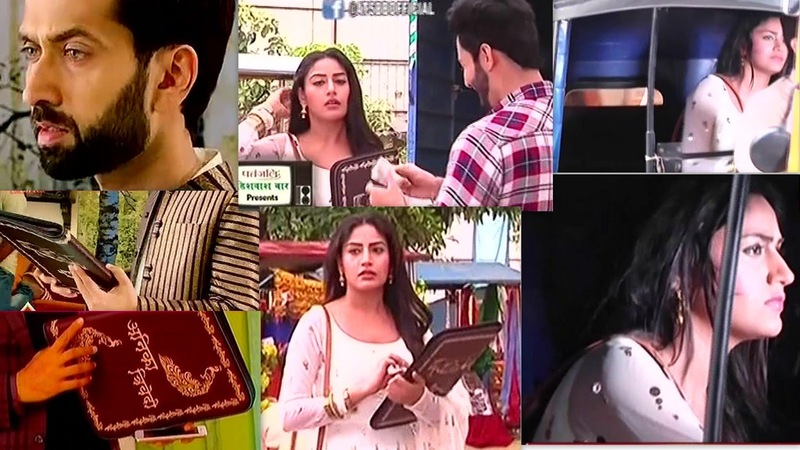 After that Anika Meets with Khanna her Rakhi Brother who Lives in the Same Chawl and He tells her that he will Help her to find the Job at Oberoi She gets Happy and Gives him Her File and He Gives the Same File to Shivaay. Shivaay Looks at file and Name “Anika Dwivedi” and Feels so Strange But Rudra and Omkara Drag him to complete Ritual of His Roka Ceremony. She tells In her interview that My Brother Khanna who was my Security Guard once Now Will Give me Job See this is my condition nowadays.